Delicious Gluten-free & Vegan Cookies You Don’t Have to Bake! Cookies! Yay Cookies! I am addicted to cookies and love them so much! There is nothing better than a soft, chewy cookie. And snow days are for cookies! Unfortunately, I don’t always get off when there is snow even though my family might…no fair! So while I don’t have time to bake some cookies, Nana’s Cookie Company is there to help out! Makahiki — The Bounty of the Islands is a Disney Character Breakfast at Aulani, a Disney Resort & Spa in Ko Olina, Oahu, Hawaii. My gluten-free, vegan breakfast with Mickey, Minnie, and Pluto was delicious! This is one restaurant you are going to want to check out on your next trip to Aulani! Time to eat! Let’s check out “Off the Hook Poolside Lounge” at Aulani – A Disney Resort & Spa in Ko Olina, Oahu, Hawaii! Health Warrior is a superfood company that believes better health will build a stronger society. All of their products have a superfood as the first ingredient. A superfood is one of the most nourishing foods on the planet. Ounce-for-ounce, chia boasts more omega-3s than salmon, more protein than an egg, more calcium than milk, and more fiber than flax. These bars are delicious and easy to grab for on-the-go snacking! 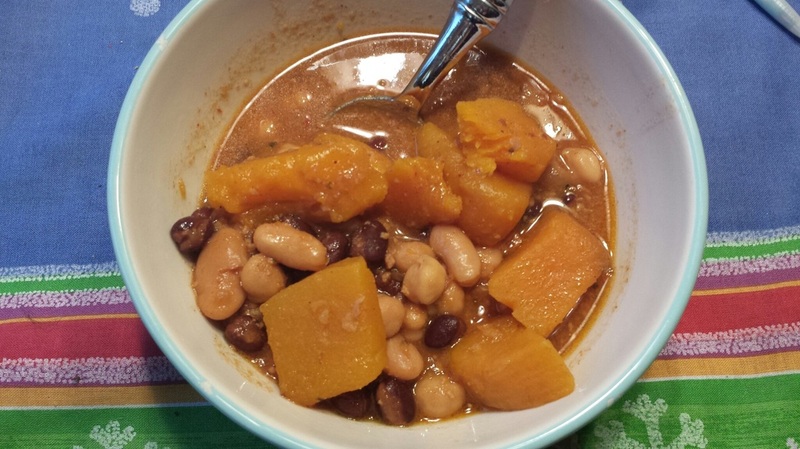 This vegan & gluten-free soup is easy to make in the slow cooker. Ever time I bring it to a party, it is the first thing eaten! Both vegans and meat-lovers love this Thai Butternut Squash Soup!